For the Intaki people, the dawn of the Empyrean Age was a period of great prospects. They had become the second largest ethnic group within the Federation and spread throughout its territory. Besides being among the most innovative artists, many Intaki had also become successful in business and politics, mainly within the Aliastra corporation and the Federation’s diplomatic corps. Through their dedicated efforts, a number of Intaki gained popularity and power. One of those prominent figures was Souro Foiritan. Already during his education at the Center for Advanced Studies, Foiritan showed a talent for politics and became a representative of the student body. After his graduation he initially worked as a researcher for Chemal Tech, but his then girlfriend convinced him to discontinue his scientific career and become a politician full-time. He joined the Progressive Party, served in the Federation’s diplomatic corps and soon rose to the rank of Senator. The large number of Intaki among the Progressive Party’s constituency helped to establish him as candidate for the YC 103 presidential election, and the virtually unanimous support from his people afforded him a comfortable victory at the ballot. Foiritan’s political stance reflected his Intaki upbringing. Domestically, individualism and freedom-of-choice were central in many of his policies. He dedicated much of his efforts to reducing bureaucracy and government influence on domestic life. Foiritan’s administration also ensured that regional and planetary administrations were granted more political autonomy along with economic independence. Many far-reaching programs for modernisation and expansion of the Federation’s industry were launched during Foiritan’s term. At the same time he played the political game skillfully. His critics often called him a self-serving and controversial politician who was not above underhanded maneuvering, but his charisma, eloquence and policies made him a favourite of the general populace. Obviously the Intaki kept supporting him, but his public personality also appealed to the largest Gallente voting bloc – the Magpies. More impressed by publicity than political intricacies, this demographic was a major factor in Foiritan reaching approval ratings beyond 80%. The foreign policy of Foiritan’s administration was an example of Intaki moderation. During his tenure the Federation continued to be the strongest supporter of CONCORD in an effort to prevent a resurgence of interstellar war. Through social engineering and economic aid, the Federation kept grooming the young Minmatar Republic as political and military ally while maintaining a positive albeit distanced relationship with the Amarr Empire. Most significantly, the Gallente Federation and Caldari State even managed to take a first step towards mending the fence between each other. Duvolle Laboratories and Ishukone Corporation joined in founding the Crielere Project which aimed at conducting R&D that would benefit both nations. Foiritan’s administration strongly endorsed it, but unfortunately the Senate eventually withdrew that support when it became known that Ishukone personnel had deliberately kept research data from the mutual effort. The project fully ground to a halt when its leading scientists got kidnapped by the Guristas and sold into Amarr slavery. Although that was a setback for Foiritan, he remained universally popular. The true test for the first Intaki president and his people as a whole would only come later in the tumultuous first decade of the Empyrean Age. Wherever Intaki had ended up after their schism during the first Gallente-Caldari war, they prospered. Intaki Prime had become a “Jewel among worlds”, Mordu’s Legion had established itself as the largest and most professional mercenary organisation in New Eden, and the Intaki who had once fled the war managed to establish a new power in the far reaches beyond the great nations of New Eden. What once was a disjointed conglomerate of space stations had become an organised collective on the initiative of Dorn en Diabel. He started out as just one of many station governors, but he broke the mold and forged a new path as Intaki are often known to do. He openly claimed the star-system where he operated and named it Poitot. Even today it remains the only named system in Syndicate. That was the first time an independent Intaki faction challenged the established Federation policy against new planetary settlements outside of Gallente space. From this new centre of commerce, trade and culture, Dorn en Diabel managed to establish new institutions across the region: the Intaki Syndicate, the Intaki Commerce Authority and the Intaki Bank. While successful, his project did not come to full fruition until after his untimely death in an accident. Initially his eldest son Gare was supposed to take over affairs, but he foundered, unable to maintain the cohesion his father had created among the Intaki in exile. It was then, in YC 100, that the youngest sibling of the family returned from a five-year absence and made a cunning, ruthless bid for power. That woman – Silphy en Diabel – had grown up to be an unconventionally firebrand youth by Intaki standards, and so Dorn en Diabel had sent her off to join the Sisters of EVE, hoping that she would learn humility. Instead she became best friends with yet another strong-willed woman who had joined the ranks of that interstellar humanitarian organisation: Santimona Sarpati. Other than her Intaki friend, Santimona had voluntarily chosen life among the Sisters of EVE, but she was far from being a devout idealist herself. 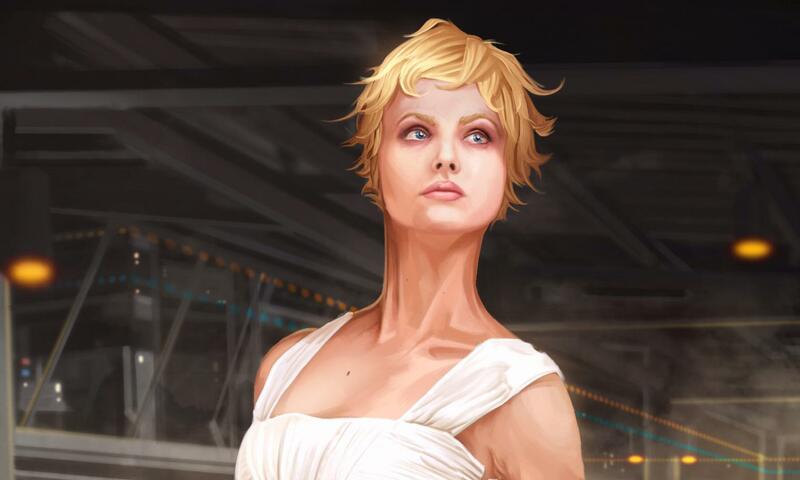 The adopted sister of Salvador Sarpati – the Serpentis Corporation leader – played her own game, and for reasons only known to those two crafty women, their interests aligned. Santimona Sarpati had achieved the rank of Reverend Mother by then, and so she could facilitate the discharge of Sister Silphy and help her with a scheme to take the reins from her bumbling brother. Using their network of influence the two women instigated a campaign to attack all supply convoys which ran into Syndicate territory. Besides Serpentis forces, circumstantial evidence suggests that both Ishukone Corporation and Mordu’s Legion might have been involved. The result was a near starvation of settlers in Poitot, and at the moment when her brother’s hold on governance was the weakest, Silphy stepped in. To the ignorant, it seemed like a miracle when Sisters of EVE relief convoys were the only ones to break through the blockade. Silphy en Diabel arrived with them and declared that she will abandon her post among the Sisters in favour of her people. The settlers of Syndicate welcomed her as a saviour and her brother Gare – none the wiser about her deception – graciously abdicated as governor of Poitot. With the wind in her sails, the young woman consolidated the Intaki Syndicate further and remains its unofficial but de-facto leader until this day. Under her guidance, the Intaki Bank became an anonymous haven for financial capital, no matter how illicit the source. 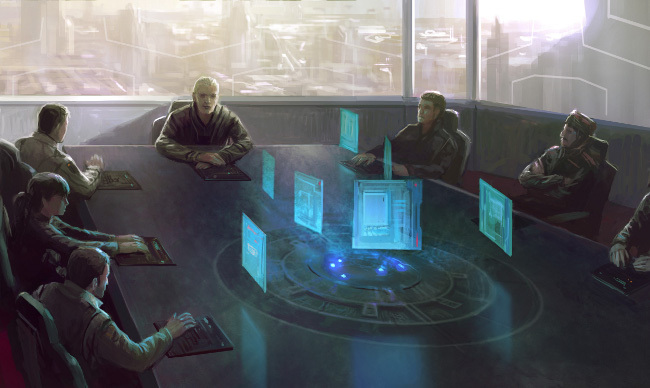 The Intaki Commerce Authority followed suit and established itself as one of the largest black market operators of New Eden, rivaled only by the networks of the Angel Cartel. Militarily, Silphy also expanded the power of the Syndicate by establishing the Intaki Space Police (ISP) and signing long-term contracts with Mordu’s Legion. Disaster first struck the Intaki in YC 108 when the Placid world Reschard V was devastated by what first appeared to be an unexplained atmospheric energy discharge on a planetary scale. Immediately the Sisters of EVE sent a relief convoy, but it got intercepted and destroyed by the most recent players on the interstellar stage of New Eden: independent capsuleers. Many of them had taken to the unregulated frontier of Placid and the Intaki Syndicate, and they served no-one but themselves. Their presence did not only pose a threat to the Intaki people’s lives, it touched upon the very essence of their belief system. With one historic technological development, it had become possible for a human being to successively inhabit clone bodies and live many lifetimes. Not just a few enlightened individuals full of wisdom and compassion, but anyone who could pass the rigorous capsuleer training. Incidentally, many who survived the procedure with all their faculties intact, suffered from psychological disorders due to the traumatic experience they went through. Many traditionally minded Intaki responded with scepticism and insisted that technologically aided rebirth of an infomorph into a clone is not the same as the rebirth of an Idama. Others viewed this as a new challenge to expand their possibilities while continuing a life according to the Intaki way, since not all capsuleers were without merit. Mordu’s Legion had attracted quite a few of them, and they fought hard to protect Sisters of EVE relief efforts against the capsuleer alliance IRON. Eventually, the convoys did get through to Reschard V, but what they found was a charred world. Approximately 88% of all surface life had been annihilated, only one in 50.000 settlers had survived, and many of those were doomed to die due to long-term effects. Late but inevitably, Federation authorities appeared on the scene and brought in CONCORD for an investigation of the disaster. The military experts who analysed the evidence came to the conclusion that an Avatar class titan must have fired its main weapon at the planet, but the identity and motive of the perpetrators was never found out. They had escaped into deep space by a series of jump-drive maneuvers. On the political front Souro Foiritan’s administration now faced strong opposition from a major faction in the Senate and Parliament. As the presidential elections drew closer, the Sociocratic Party under Mentas Blaque went into full gear to gain ground against Foiritan, but the president managed to steal their thunder. Coasting on high approval ratings he offered to serve a second term if the Federation citizens would change the constitution by referendum in YC 106. The Sociocrat majority in the Senate immediately reacted with a vote of no confidence against Foiritan, but the president won this gambit in YC 108, not in the least because the Intaki people hoped for his continued support in the aftermath of Reschard V. The referendum went through, and political procedures delayed the Senate’s motion until the elections were due anyway. Foiritan did win his second term, but the margin against Mentas Blaque was a narrow one. Then YC 110 brought the Malkalen Disaster, the Caldari attack on Luminaire and the incursion of Amarr heir Uriam Kador. Events moved too fast for the careful and considerate political player Souro Foiritan as he was forced to react to several crises at once. While he quickly sued for peace with Tibus Heth in an effort to save lives, he also attempted to demonstrate that he can be a man of hard action and responded with overwhelming force to the Kador attack. This hastily executed combination of political decisions lead to a major publicity crisis for Foiritan. Initially he managed to take credit for a diplomatic, political and military victory, but Mentas Blaque skillfully turned that against the president. By then Mentas Blaque had become leader of Federation Intelligence, and his Black Eagle special forces captured the traitorous admiral Anvent Eturrer who had facilitated the Caldari attack in YC 110 and escaped to serve Uriam Kador. By leveraging an increasingly jingoistic climate within the Federation, Blaque manipulated Souro Foiritan into making a public spectacle of Eturrer’s execution. This alienated many of his fellow Intaki and the situation became even more dire when the newly risen Caldari Providence Directorate treated the Intaki worlds like assets to be traded away without concern for the residents. 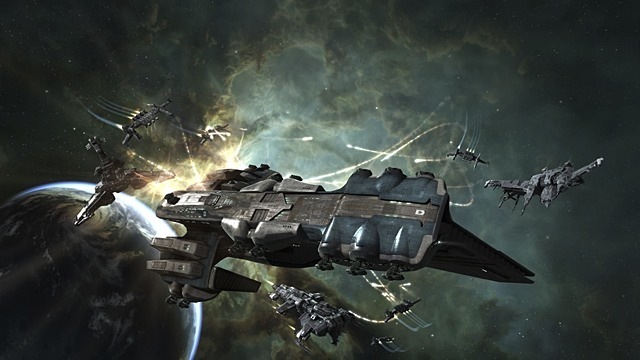 Caldari capsuleer militias and Provist forces had wrested away all contested territory from the Gallente Federation, including the Intaki homeworld and many colonies. In YC 111 Tibus Heth himself commissioned a blind auction to exploit all occupied star-systems open to the Caldari Megacorporations. The resulting outrage was great among the Intaki and the Federation as a whole, and this was the moment when Souro Foiritan made his last political mistake. He tried to nationalise the defence industry to prepare for war, but corporate stakeholders turned against him. Ironically it had been the Foiritan administration itself that had empowered the business-class which now rallied behind tycoon Jacus Roden in open protest. As pressure from corporate lobbyists mounted, the Senate voted to issue an impeachment against the president. Foiritan – however – did not want to face public defeat and stepped down. In the elections that followed, Jacus Roden gained the presidency, and despite his opposition against nationalising industries in service of the Federation war effort, he did fan the flames of patriotism. He leveraged the immense production capacity of Roden Shipyards and his corporate allies to support the capsuleer militias. Within a short time, Gallente loyalist forces were able to take back most of the border zone, including the Intaki home system, but to their surprise, the Intaki did not welcome them as liberators. They had already taken matters into their own hands. 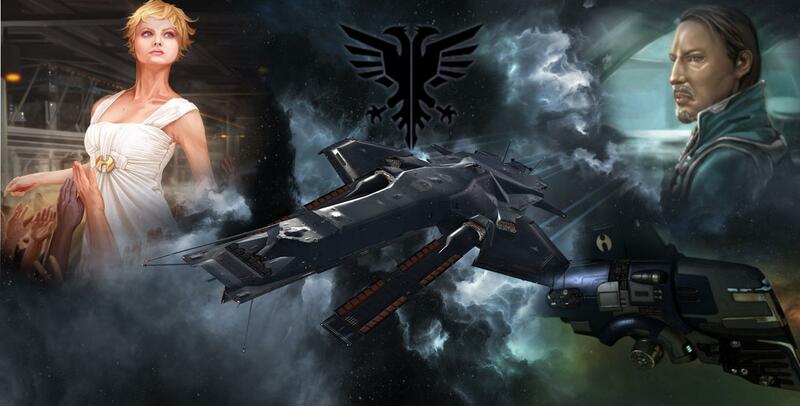 The Intaki had responded with a vehemence unknown since the early days of the Gallente-Caldari war, only this time they did not split apart, they re-united. At least to some degree. I already mentioned that Mordu’s Legion defended relief convoys against capsuleer aggression, but as matters progressed the Syndicate also committed its forces to the Placid region. Capsuleers from Intaki descent and their sympathisers had formed the Intaki Liberation Front (ILF) to defend Intaki space against Tibus Heth’s Provists and the Federal Defence Union alike. Most notable in all of this was the reaction of Ishukone corporation. They had “acquired” the Intaki home system during the YC 111 blind auction, but instead of exploiting the local population and resources, CEO Mens Reppola jointly formulated an economic development charter with the Intaki Assembly. It was no secret that Ishukone was not on good terms with Tibus Heth and his Providence Directorate, but now they openly opposed the State authority on grounds of corporate sovereignty. Effectively, Ishukone provided a screen behind which Mordu’s Legion, the ISP and ILF capsuleers could operate. That dispute marked the beginning of the end for the Provist dictatorship but it also meant that the divide between the citizens of Placid and the rest of the Federation deepened while at the same time the ties to Intaki who were not part of the Gallente Federation strengthened. This is how the situation remains until this day. 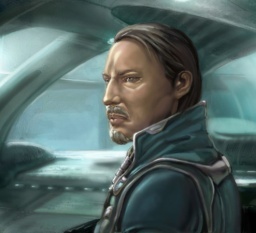 Although many Intaki remain dedicated citizens of the Federation, their home system and colonies have established a new level of autonomy beyond anything Souro Foiritan was willing or able to achieve. At the same time Silphy en Diabel consolidated her unofficial power and committed the vast financial resources of the Intaki Bank, supported by the engineering prowess of Mordu’s Legion, to participate in the largest independent business venture of the Empyrean Age: Upwell Consortium. Again, Intaki people are at the forefront of innovation and pragmatic adaptation to new circumstances. From being an underdeveloped yet sophisticated society five hundred years ago, they had become a major player in interstellar politics while never shedding their cultural roots. Who knows what new challenges the future might hold for that fascinating culture.